This Catback system features Megan Racing???? ?_s drift spec exhaust style. Drift racing is a sport that demands a vehicles maximum performance and maximum reliability while being put through extreme conditions. One of Megan Racing???? ?_s strongest products, this Catback system is made of T-304 stainless steel with a fully polished surface, CNC machined flanges, and mandrel bends. Its aggressive styling and deep, strong tone are inspired by drift racing. It also serves to improve horsepower, torque, and overall performance with its straight-through design. The exhaust is angled upward and outward to give a more aggressive look. 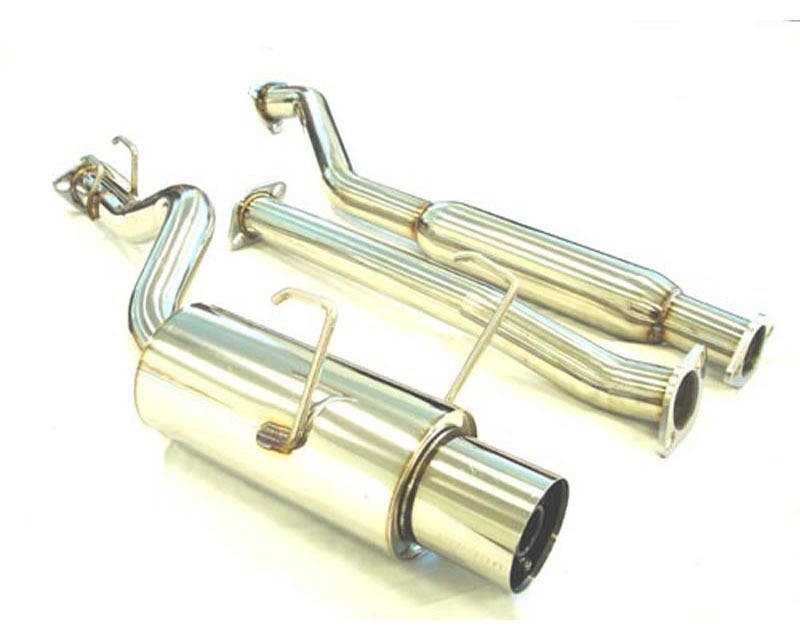 The direction and angle of the exhaust varies depending on each car and bumper design. Finished with a tip that is designed to increase the scavenging effect and achieve maximum performance, Megan Racing???? ?_s exhaust is a perfect addition to exterior styling. The Honda Civic has been a popular platform amongst import tuners for years. Its sporty styling and advanced four cylinder engine make it an ideal platform for modifying. The Civic is fun to drive in stock form but the factory exhaust system can leave much to be desired in terms of sound and performance. The factory Catback exhaust was not designed with optimal performance in mind. Megan Racing???? ?_s Catback exhaust offers a solution to these problems. Megan Racing???? 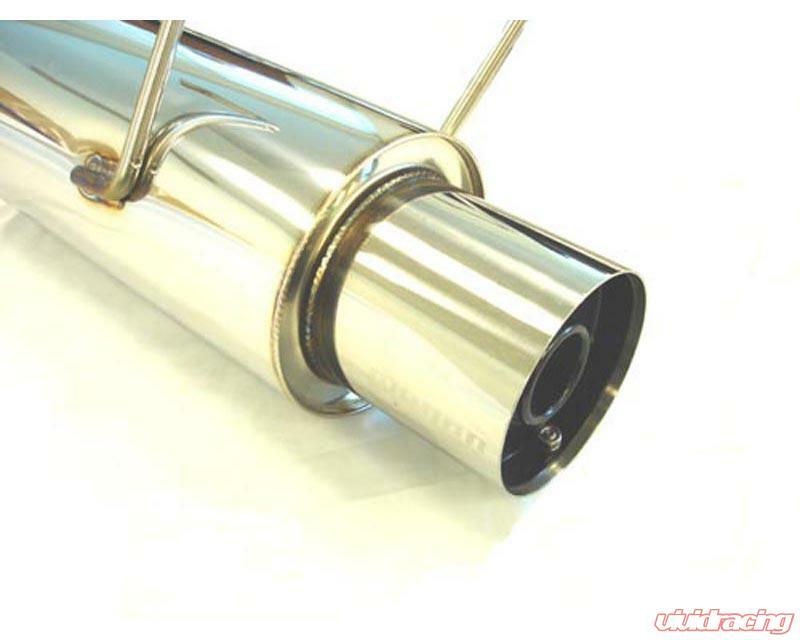 ?_s Catback exhaust increases both horsepower and torque by replacing the stock unit with a smoother less restrictive unit. The increased exhaust flow will give your Civic a more aggressive tone that will set you apart from the pack. A larger, polished exhaust tip also ads subtle styling to your vehicle. Direct bolt-on design ensures a factory like fit and easy installation.